Attendees of the PESD board meeting wait for the school board meeting to start on Thursday, Aug. 23, 2018 in Phoenix, Arizona. The past month has been unpredictable for the students and parents of the ASU Preparatory Academy Phoenix Elementary School, which is facing an astronomic rent hike that could leave the school in real estate limbo. The school, which offers classes for preschool through 12th grade, boasts a 100 percent graduation rate and promises admission to ASU for students who maintain high GPAs. The decision by the Phoenix Elementary School District (PESD) to raise rent by 800 percent has parents of students scrambling to find a path forward. Carissa Jakobe, a Parent Teacher Organization (PTO) member and parent of an ASU Preparatory student, said PESD cited a law requiring the school district to "obtain the highest possible value" for vacant properties to justify the rent increase. The PTO contends that this law does not apply since the building is not vacant, she added. Jakobe said she was shocked and wonders what she will do if the school closes. "The Phoenix campus has a diverse student body," Jakobe said. "That is why I want my daughter to go there." Jakobe said there is a math teacher with a physics degree and a master's degree in math who offers after-school tutoring for free. "My kid loves math now," Jakobe said. PESD board members and PESD Superintendent Larry Weeks declined to comment on the issue. Negotiations have been going on since April. However, ASU Preparatory was surprised by the news that they may need to find a new location or even close down. The annual rent was previously set at $300,000 for the space, but the PESD School Board is now requesting $2.7 million. At a school board meeting held in early August, ASU Preparatory offered a compromise of $500,000, but the school board rejected the offer. ASU Preparatory PTO president, Bridget Eagy, has two children attending the school. She said that, as a parent, she is concerned about the current situation. The school is in a state of uncertainty as they approach the limits of their 60-day negotiation process. Eagy said negotiations will end Sept. 24th, and the PESD is open to public comment on the issue, reports state. Eagy said parents and administration are unaware of the reasons behind the rent increase. Any plans for the future use of the building are still unknown if ASU Preparatory moves out. “We’ve never been given an explanation on why they believe the property should be $2.7 million, except for the fact that they’re quoting that it’s market value,” Eagy said. At the most recent PESD board meeting regarding the rent increase on Aug. 9, ASU Preparatory students fought to keep their school. Hashtags started by concerned parents at ASU Preparatory, including #KeepthePrep and #ASUPrepFamily, have gained traction on Instagram, Twitter and Facebook, Eagy said. These hashtags serve as a call-to-action to save the school and the “1200 students who are scrambling to find an education and a community that is just as good as ASU Prep," she said. The hashtags have also been written on the back windows of ASU Preparatory parents' cars. An ASU spokesperson said the University is involved in the negotiations. "This is a ridiculously large increase,” they said. A statement by a district spokesperson for the PESD mentioned that the district "welcomes public comment on the issue." Eagy said it's important for the public to get involved and email members of the school board. 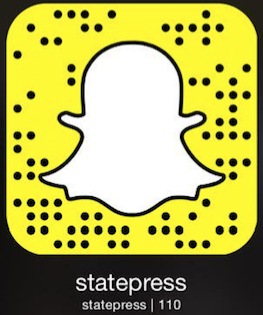 Reach the reporters at hannahfoote1@asu.edu and jpdreyfu@asu.edu or follow @foote_hannah and @JohnDPhx on Twitter.